Balloon Copter 4 Pack | 4 Balloon Powered Helicopters to Share! Complete with cool flame decal blades! Then let the air power your helicopter! It's four times the fun with a pack of 4 Balloon Powered Helicopters! Grab a mate or three, and watch as these unique helicopters fly using the air being released from a balloon! With cool flame decals on the rotor blades, you can have one each! You will receive: 4 x Balloon Copters. Each individual pack contains 3 specially designed blades with awesome flame decals, a plastic connector to maximise flight, and 2 balloons with instructions. Simply attach the rotor blades to a balloon and off it flies, whistling as it goes! The soft and light plastic blades are suitable for both indoor and outdoor use, but outside is much more fun! - Assemble the rotor blades, and insert the inflation tube into the balloon. - Blow up the balloon to around 20cm diameter. Do not over inflate, pinch the neck of the balloon firmly once inflated. - Attach rotor to the balloon. 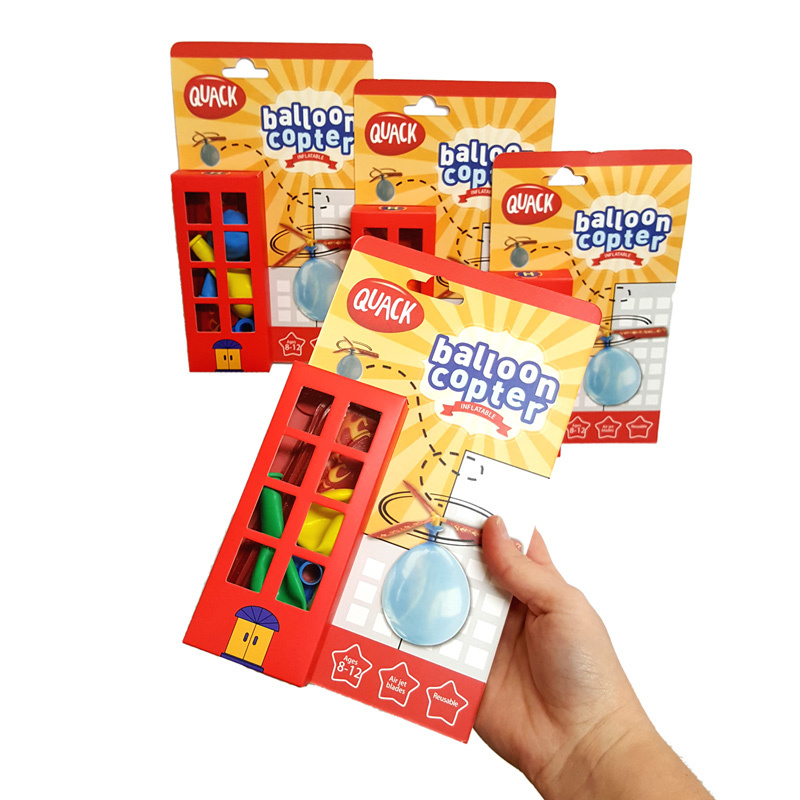 - Hold the balloon with the blades on top, then let go and watch your Balloon Copter fly away! Recommended for children aged 8 - 12.